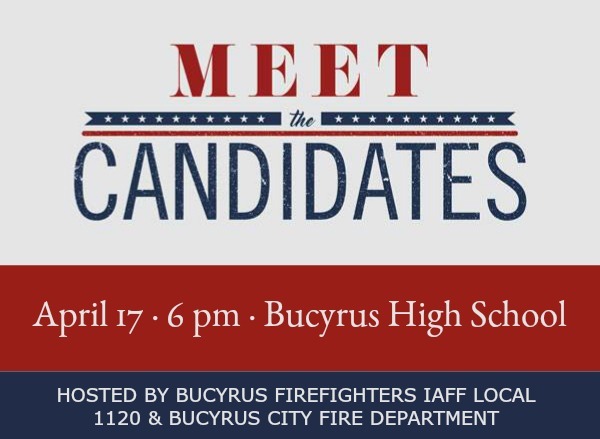 The Bucyrus Firefighters IAFF Local 1120 and the Bucyrus City Fire Department are hosting a Meet the Candidates Night for the Republican primary election for Mayor and City Council President. The event will be held on April 17 at 6:00 pm in the Bucyrus High School auditorium. James Massara from Crawford County Now will be the moderator. This event is free and open to the public. A Meet the Candidates for the General Election will be held at a later date in October.